Amazon API Gateway provides you with a simple, flexible, secure, and fully managed service that lets you focus on building core business services. 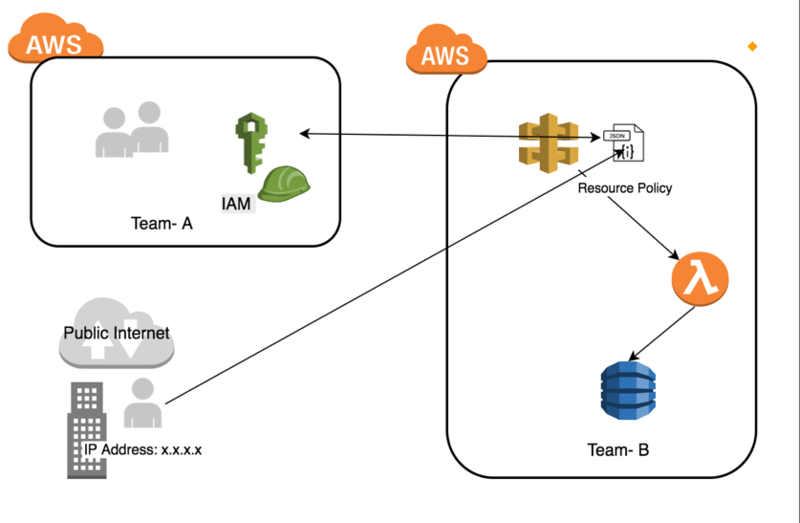 API Gateway supports multiple mechanisms of access control using AWS Identity and Access Management (IAM), AWS Lambda authorizers, and Amazon Cognito. You may want to enforce strict control on the locations from which your APIs are invoked. For example, if you are an AWS Partner who offers APIs over a SaaS model, you can take advantage of the new Amazon API Gateway resource policies feature to control access to your APIs using predefined IP address ranges. 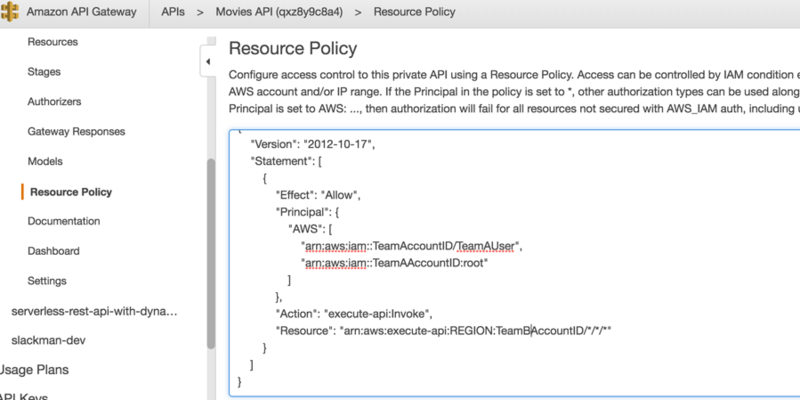 API Gateway resource policies are JSON policy documents that you attach to an API to control whether a specified principal (typically, an IAM user or role) can invoke the API. After a customer subscribes to your SaaS product in AWS Marketplace, you can ask for IP address ranges in the registration information. Then you can enable access to your API from only those IP addresses, making it a secure integration. For example, if you know that your customers are spread across a certain geography, you could blacklist all other countries. Alternately, if you have global customers, you can whitelist only specific IP address ranges. What problems do resource policies solve? 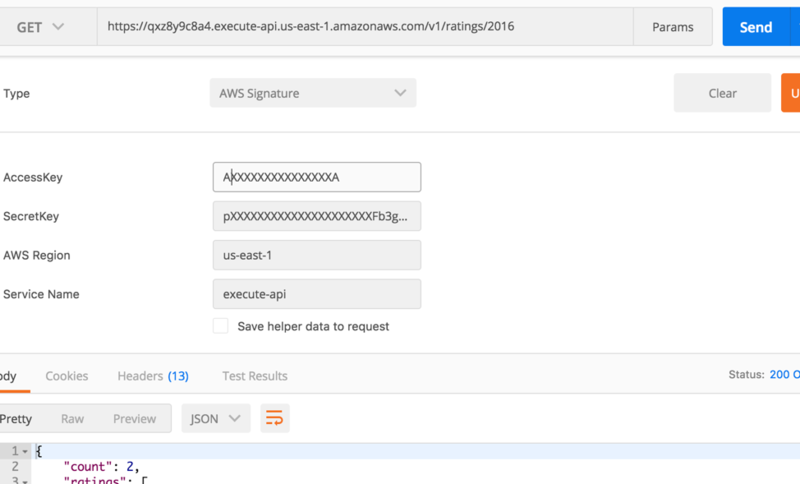 In a distributed development team with separate AWS accounts, integration testing can be challenging. Allowing users from a different AWS account to access your API requires writing and maintaining code for assuming the role in the API owners account. Also, if you work with a third party, you have to write a Lambda authorizer to implement a bearer token–based authorization scheme. Now, you can use resource policies much like S3 bucket policies, to provide overarching controls on your APIs without writing custom authorizers or complicated application logic. 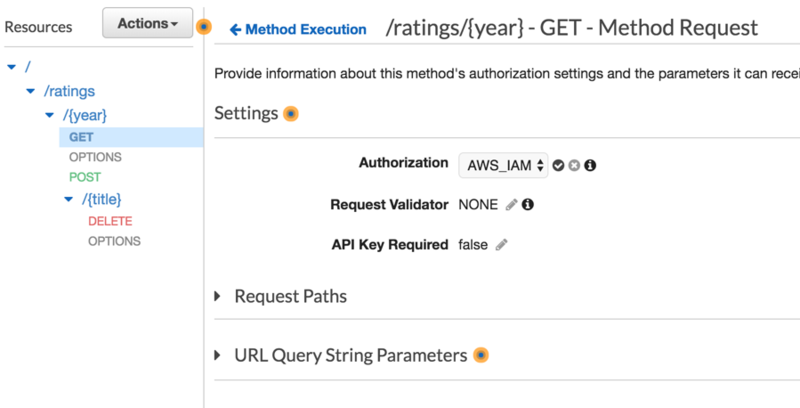 In this post, I demonstrate how you can use API Gateway resource policies to enable users from a different AWS account to access your API securely. You can also allow the API to be invoked only from specified source IP address ranges or CIDR blocks, without writing any code. Imagine a company has two teams, Team A and Team B. Team B has created an API that is backed by a Lambda function and a DynamoDB database. They want to make the API public to third parties. First, they want Team A to run integration tests. After the API goes live, Team B wants to allow only users who access the API from a known IP address range. Start with building an API. For this walkthrough, use a SAM template and the AWS CLI to create the API. For the code to create an API and attach the resource policy to it, see the Sam-moviesapi-resourcepolicy GitHub repo. Here’s a walkthrough of the steps, so you can get a deeper understanding of what’s happening under the covers. Note: You’ll need an S3 bucket to store your artifact for the “package” step. After the movie API is set up, turn on IAM authentication, so that it’s protected from unauthenticated attempts. Now grant AccountA user access to your API. In the API Gateway console, choose Movies API, Resource Policy. Note: All the IP address ranges recorded in this post are for illustration purposes only. In the second statement, you are whitelisting the entire 203.0.113.0/24 network to make all calls to the API. While whitelisting IP addresses is a good way to start while launching the API for the first time, maintaining the updated list could provide challenging. For a stable product, blacklisting bad actors might be more practical. You have access logs turned on for the API and your log analysis tool has flagged bad actor/s from a particular IP address range, for example 203.0.113.0/24. Now you can blacklist this IP address in the resource policy. You can now test, using postman, to ensure that the user from AccountA can indeed call the API hosted in AccountB. Also verify that attempts from other accounts are rejected. 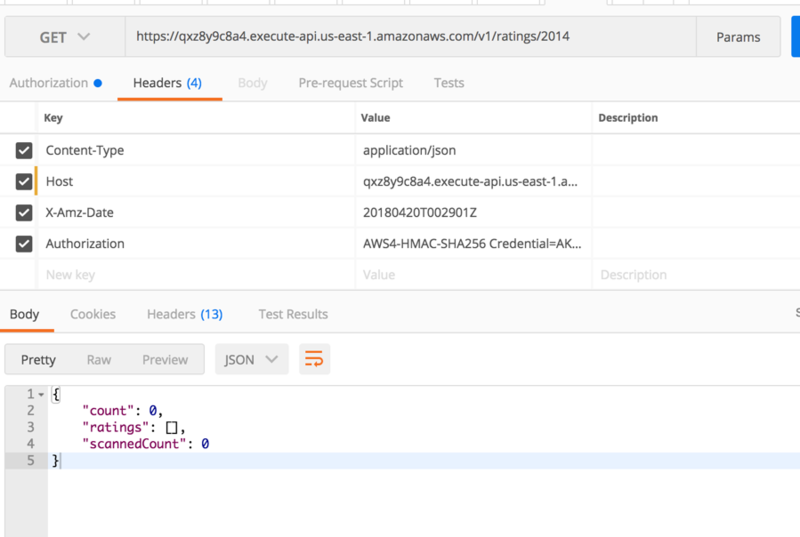 In the following examples, the AWS Signature is configured to the AccessKey and SecretKey values from an AccountB user, who was granted access to the API. In this post, I showed you the different ways that you can use resource policies to lock down access to your API. Want to restrict a dev API endpoint to the office IP address range? Now you can. Cross-account API access is also made much simpler without having to write complex authentication/authorization schemes.